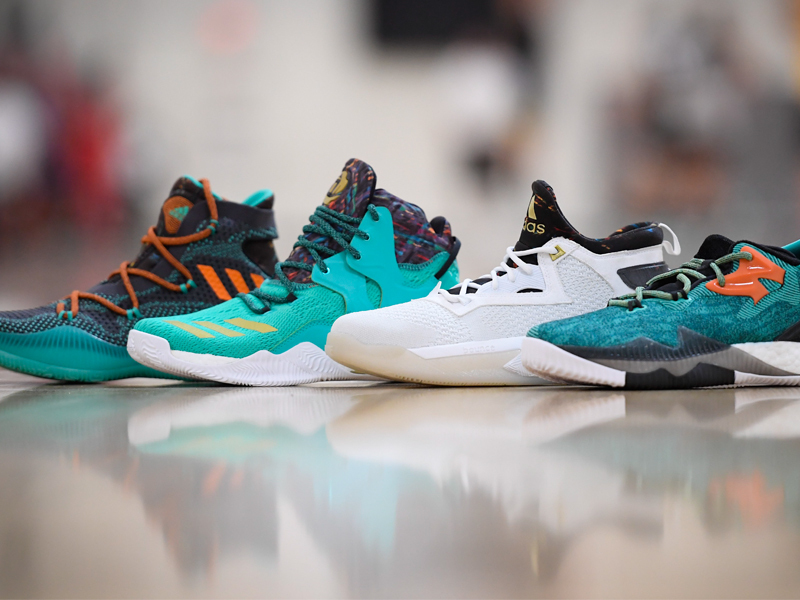 Constructed with turquoise and black Primeknit threads, Crazy Explosive is done up with an iced outsole, orange accents and a mosaic printed internal bootie that unites the nations' flags represented at the tournament. Derrick Rose's latest signature features a turquoise mesh upper and lace panels, an all-white outsole, gold branding and sharp mosaic prints along the tongue and collar to honor the game's global appeal. The latest D Lillard 2 is designed in a clean white color palette with matte black accents and gold hits, while the adidas Nations' mosaic print is detailed on the heel cap and TECHFIT bootie. Join the conversation @adidasuprising on Twitter and Instagram with #adidasUprising.